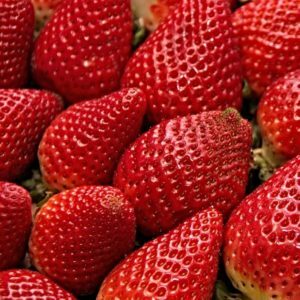 June 26, 2018 0 comments on "Strawberry Equivalents and Measures"
How Many Strawberries in a Pint? How Many Strawberries in a Quart? How Many Strawberries in a Flat? How Many Strawberries in a Half Flat? How Many Strawberries in a Pound? How Many Strawberries in a Cup? How Many Cups is in a Package of Frozen Strawberries? It’s strawberry season! I used to always buy my strawberries at the grocery store. You can often find good deals on them at the store, but I wanted to buy a larger quantity, so I decided to go looking for a farm where I could purchase them in flats or half flats. Luckily I have several strawberry farms nearby where I can purchase fresh strawberries every summer. 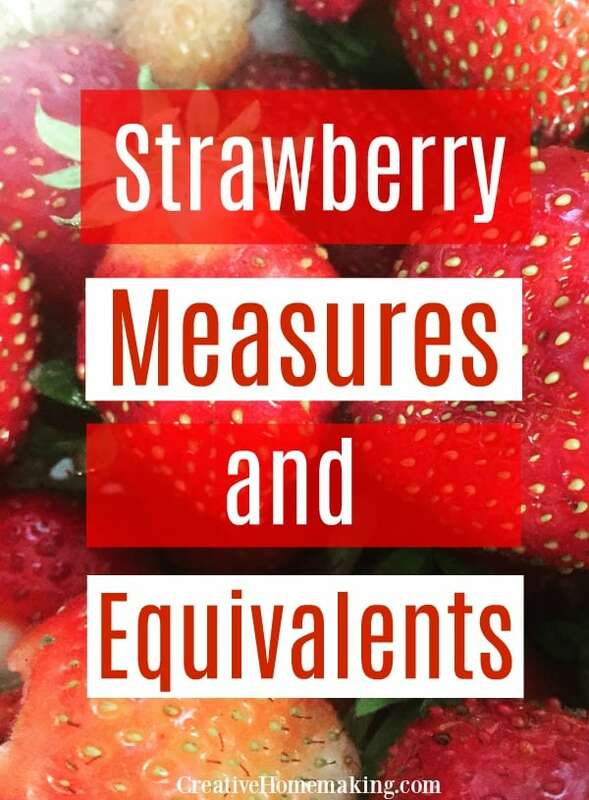 When you bring home a bunch of strawberries, you will need to have a handy reference like this one to convert strawberry equivalents and measures. Need to know how many pounds are in a quart of strawberries or how many cups are in a pint? I’ve got you covered. Check out my complete strawberry equivalent chart below. Strawberries do not ripen after they are picked, so make sure the strawberries you buy are completely red and ripe. Remember, strawberries don’t have to be large to be ripe, the big strawberries you see at the grocery store are probably not what you will find in your garden or at your local farm. Do not wash your strawberries before you are ready to use them. Store them in the refrigerator and use them as soon as possible after you get them. If you aren’t going to get to them in a day or two, then cut the stems off and place the strawberries in freezer bags and put them in the freezer until you are ready to use them. They will store for months in the freezer.